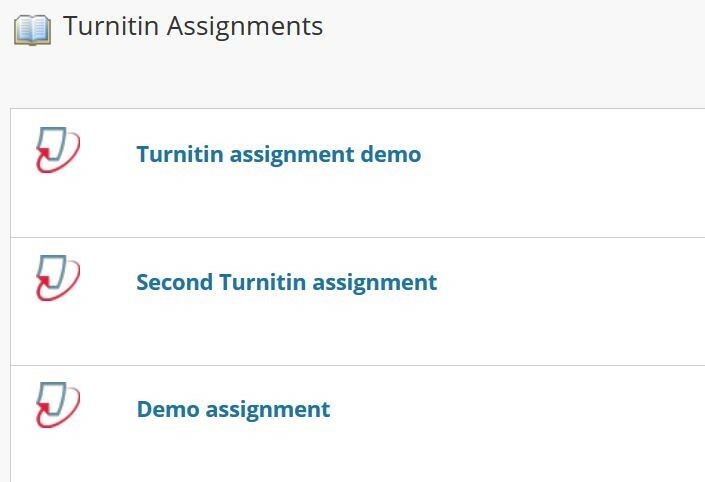 If you set your Turnitin assignment to only allow one submission attempt, the student is not able to submit a second time. If, for example, a student accidentally submits the wrong file you will need to delete this file to allow the student to upload the correct version. Within your Blackboard course go to the control panel on the left hand side, click Course Tools then Turnitin Assignments . You will see a list of all assignments in this Blackboard course. IMPORTANT If anonymous marking is enabled you will not see the student names, you will need the Paper Id of the submission. The student can find this in their Turnitin receipt. Select the checkbox to the left of the entry you wish to delete and select Delete. When the student goes back to the assignment they will be able to resubmit provided the due date has not passed (or, if the due date has passed, provided late submissions are allowed).